What's On / Bristol Gigs / Mr Wolfs / Year of the Dog and The Keystonez at Mr Wolfs! Year of the Dog and The Keystonez at Mr Wolfs! 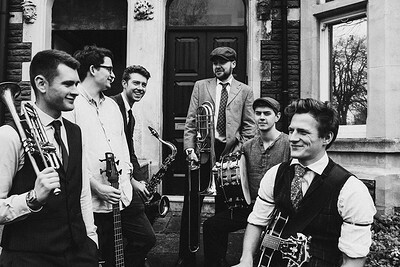 A raucous six piece with an original concoction of ska, funk, soul, reggae and swing - Year of the Dog have a raw energy and unforgettable sound of blasting brass. Despite their roles, the six fellas studying at the Royal Welsh College of Music and Drama in Cardiff are always up for a laugh with anyone, and bring a brilliantly vibrant atmosphere to their gigs. Peter Richards on Bass Trombone. A Box Fresh Reggae punk band, hailing from the beautiful Devon. Playing a variety of different songs from The Specials to Toots and the Maytals and The Ramones. With originals thrown in for good measure. Papa Moomin will be keeping the vibe flowing till late.